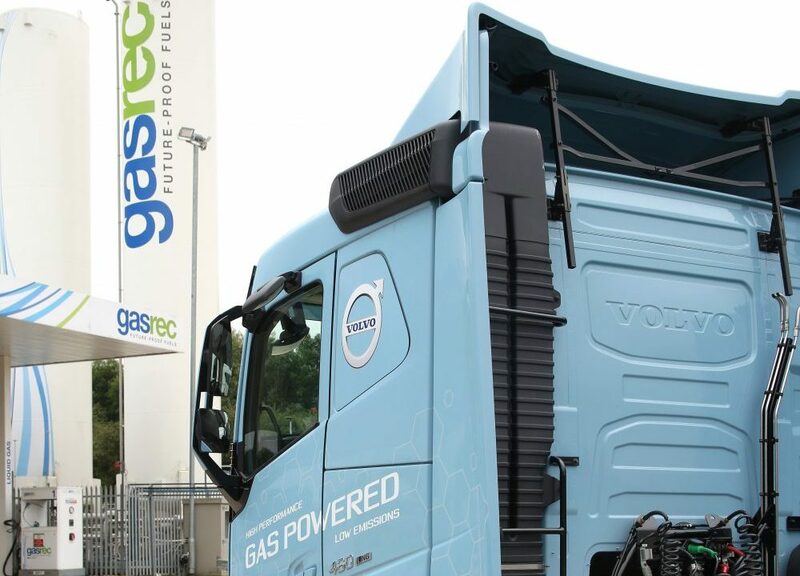 Commercial vehicle fleets running on LNG can now take advantage of the same huge CO2 savings being achieved by CNG trucks running on biomethane, following a significant move by fuel provider Gasrec. The firm has become the first in the UK to offer customers access to Renewable Transport Fuels Obligation (RTFO)-certificated biomethane through either a grid-connected facility (CNG) or through tanker-supplied LNG. Gasrec has secured biomethane-linked CO2 savings on an RTFO-certification basis for LNG arriving into the UK through National Grid on the Isle of Grain. The RTFO scheme is administered by the Department of Transport to encourage the use of renewable fuels in the transport sector. Qualification under the RTFO program ensures fuel is from renewable sources and allows the reporting of CO2 savings by vehicle operators. This makes it ideal for fleets wanting to maximize their sustainability in a similar way to domestic users buying renewable electricity through the Green Energy Supply Certification Scheme. The fuel which goes into the vehicle will not change, but certification ensures all natural gas sold is matched by biomethane, and that the same kilogram of biomethane is not being sold twice.